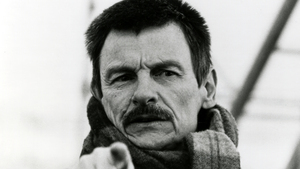 rançoise Bonnot, who passed away last week at the age of seventy-eight­, was one of the world’s most versatile and seasoned film editors, with a five-decade career that encompassed work with such international auteurs as Costa-Gavras, Jean-Pierre Melville, and Volker Schlöndorff. But she wasn’t always sure she wanted to work in the movies. As a young girl, she became intimately acquainted with the craft of editing through her mother, key Melville collaborator Monique Bonnot, at a time when women were major players in the field. By her teenage years, she had learned the ropes, but she wasn’t interested in carrying on the family trade, thinking she would instead go into architecture. Despite her hesitations, Bonnot found her way to the profession in the 1960s and had early success with Costa-Gavras, with whom she made 1969’s Z, a breathless political thriller that would be the director’s international breakthrough and went on to win her an Oscar. Their partnership would continue through seven more films, sharpening her sensitivity to his vision and honing her instincts for the most delicate nuances of sound and image. In the above video, excerpted from an interview conducted for our release of Costa-Gavras’s 1970 film The Confession, Bonnot talks about the origins of that collaboration, her childhood memories of the cutting room, and the decisions that went into her editing of one of the movie’s most suspenseful scenes.